A video of a baby's unique laugh is sweeping the internet. 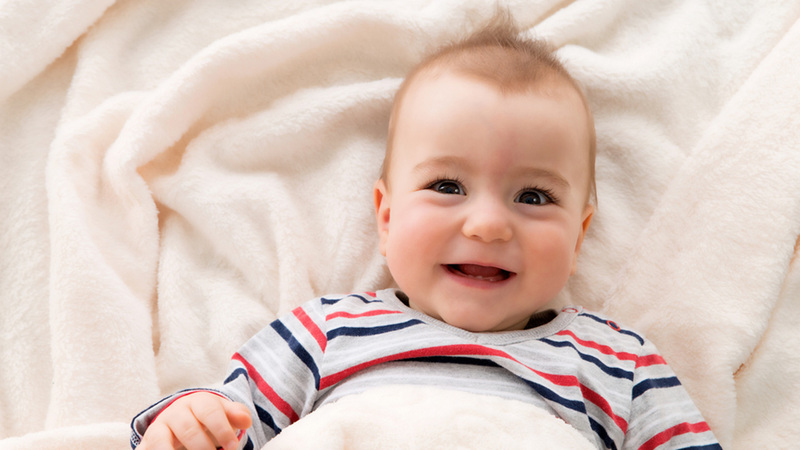 The sound of a baby's laughter usually makes you feel all warm and fuzzy inside, but that may not the case for this baby. The child's giggle falls under the creepy category rather than the cute. Tap here to watch on the news app. The video was uploaded to Youtube on Feb. 23, titled "Child laughs as a troll". It features the baby sitting in a carrier, smiling from ear to ear with a laugh that some commenters say will "haunt your dreams." "Oh, this will give you nightmares. This baby has the weirdest laugh ever!" wrote Joyce Donahue. "Chucky? Is that you?" wrote YouTube user Super Casual Life. "JK, That baby is SO cute!" The video has been viewed more than one million times in just two days.